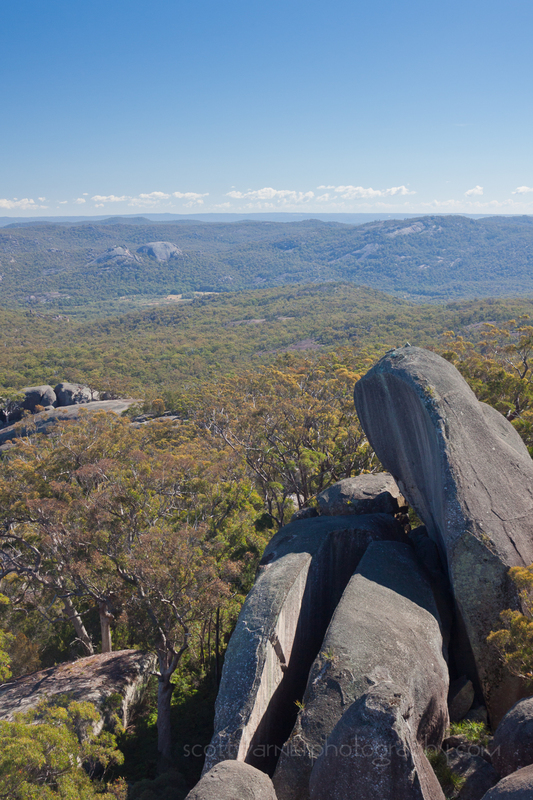 A friend asked me today for advice on how to spend 24 hours in Girraween National Park for a group of people looking for photo opportunities … so here a quick guide for one way to do just that. I love Girraween and have spent many days there over the years and seen it in all sorts of weather and seasons. It is a wonderful place to explore with an excellent track network which visits many of the park’s best features. For the more adventurous there are many hidden gems to discover off the beaten path but these require some experience, navigation skills and often some scrambling skill. A guide to spending 24 hours in Girraween is therefore a little tricky as there is so much to see but I’ll take it for this guide that you have never been to Girraween before and have an average level of fitness. Some of the options I’ll suggest below are significantly more difficult in the wet when the granite becomes very slippery and climbing the peaks is not advised. 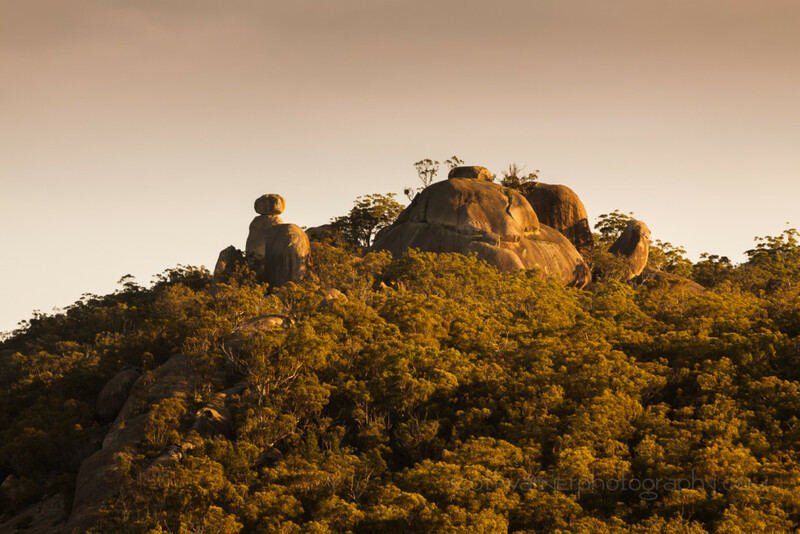 To make the most of your 24 hours in Girraween you will need to be prepared to be walking after sunset and before sunrise – so pack a good torch with spare batteries. Walk times below are taken from the National parks guide and does not include time for photos. I find these walk times very generous but we all like to walk at different speeds. Arriving at at around noon allows some time to get yourself oriented so make a stop off at the Park information centre and chat with the rangers if they are there – they are always friendly and helpful and may have some great advice on places to see – if the centre is closed you can still usually get a park map from the front door which you will need before you head off. For the more adventurous a trip up the First pyramid (1.5-2hr)is well worth the effort – great views of the park and a rather spectacular feature called the Balancing Rock. Just around from the balancing rock is a unique wind blown cave which overlooks the Second pyramid. For those who prefer a less adventurous (or shorter) option the creek and surrounding bush along the Bald Rock Creek circuit (1hr) is a lovely stroll. If the water is flowing there are some great options for moving water photos and if you look around there is a wide range of bird and reptiles to be seen. The walk out to Castle Rock takes around 45minutes and you should allow enough time to get there well before sunset. There is a large cleft in the rock which the marked trail takes you through – make sure you look around at that point for an iconic view of the Sphinx and Turtle rock which look spectacular in the right light. There are fantastic views from the summit but the perspective on the Sphinx is not as good. If you are confident in the dark you could stay out here for a few hours and enjoy the stars or head back to camp before you completely lose the light. Route finding on the granite can be tricky but keep an eye out for the white paint markings, once you are on the track the route is easy to follow. Girraween and the Granite belt area is well known for its dark skies and is an excellent venue for photographing the stars. There are many options you could pursue – this shot is taken on the First Pyramid – but you need to assess your own abilities to navigate in the dark. Camping overnight is only permitted in designated spaces and must be arranged with the rangers beforehand. After a night of astrophotography (or a few nice local reds around the fire) an early (and chilly if you are there in the winter) start can yield some great sunrises – the road heading east out of the campground has yielded some lovely opportunities for me. After a quick breakfast (or take it with you) head up to Doctor Roberts waterhole and Underground Creek (1.5hr). Doctor Roberts waterhole is an short walk from the car park and features a large pool with great reflections. Underground Creek lies beneath a cliff that has collapsed onto it and in below the boulders you will find a very special sight. The way down is not immediately obvious but climb onto the boulders and head to the base of the cliff and you will find a way down. Situated above Underground creek is another area worth exploring, to get to it take the track the heads left when you get to the sign announcing your arrival at Underground creek – this takes you to the top and you will find a series of interesting rock pools and hollows with some large serene pools.